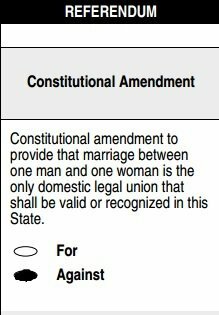 The March 2012 branch ballot included a resolution opposing Amendment One on the May 8 North Carolina primary ballot. With 71 of 124 branch members voting, the resolution passed: 62 in favor, 4 opposed, and 5 abstentions. On March 31, AAUW of North Carolina passed a similar resolution. See www.aauwnc.org for additional information. Update: The amendment passed in the May 8 primary election. The long term consequences of the wording which removes recognition of domestic civil unions as well as confirming the state’s law against gay marriage will be worked out through the courts.